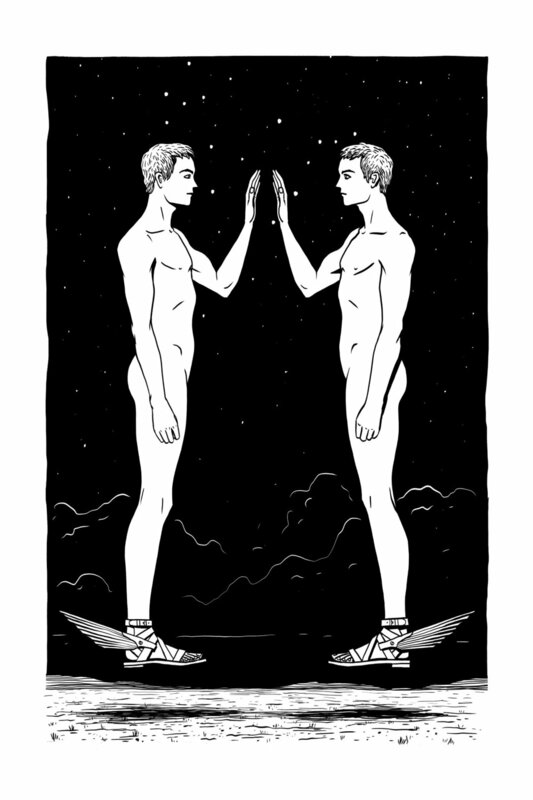 June 13, 2018 — A Gemini New Moon arrives on Wednesday at 3:43pm EDT, in mutual reception with Mercury. With the emotional Moon and intellectual Mercury visiting each other's signs, the planets are pushing us to blend our hearts and minds. We're softening our mental rigidity as we learn to deepen our communication. Meanwhile, Uranus is forming a T-Square with Venus and Mars, helping us revolutionize the feminine and masculine within each of us—bringing them into greater balance and authenticity. We're learning to relate with one another with more honesty and depth as we strengthen our confidence and vulnerability. With Mars conjoining the South Node while preparing to station retrograde, the masculine is being challenged in particular. We’re breaking free of old aggressions, abusiveness, and the need for dominance and control. This way, we can leave behind repressive behaviors and conditioning, making room for a more empowered feminine. At the same time, the dynamic polarity between Venus and Mars is triggering our passions and creativity. New projects, directions, relationships, homes, and friendships are in sight as we abruptly leap onto more genuine life paths. Deep healing is also possible with Mars on the South Node in future-oriented Aquarius. With his cosmic sword, Mars is severing the ties that bind us to our old patterns and wounds. We’re releasing what no longer serves us—whatever we have outgrown. As we enter the Aquarian age, we have no choice but to embrace the new, while discarding all that is outdated and outworn. The key now is tender communication. This summer, two Grand Water Trines are helping us flow with greater intimacy. It's time to seek true friends and partners. We could ask questions with openness while sharing our truths—engaging in heartfelt connections. As always, the curious Twins long to find their perfect counterpart. The more we heal—the more we are willing to expose our vulnerability and deeper selves—the more we’ll be able to achieve this ultimate Gemini pursuit. On this New Moon, may we look into one another’s eyes with openness and love. May we take risks as we feel our tender hearts—leaping into new chapters with fearlessness, genuineness, and care.